Ducklings In A Row - Hair + DIY Tutorials: OKAY FINE, WE'LL GET A DOG! OKAY FINE, WE'LL GET A DOG! 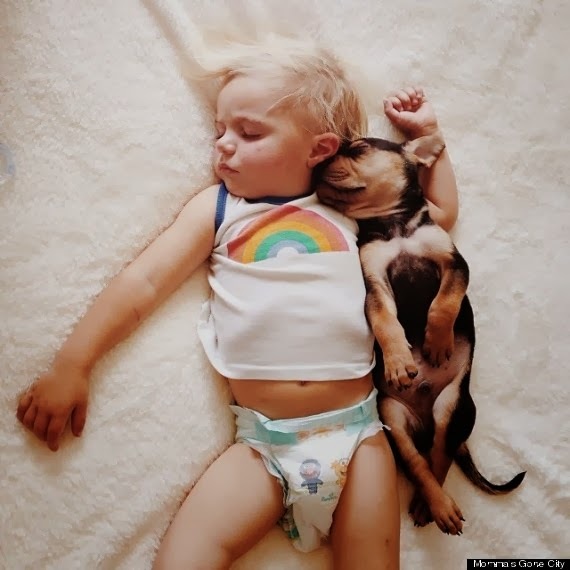 Even I, the dog grinch, can't resist this cute napping duo. I think it's the nuzzling. And the bellies. Wouldn't it be amazing if you could rent a puppy for naptime? Especially on a Wednesday. That would be way more satisfying than camel jokes.